xbox | This is KMI TV! 1:03 Don Mattrick is the first person up to talk about how the XBOX has always been ahead of the curve with things like XBOX Live and Kinect, and how they are still looking forward. They want to simplify your living room by taking advantage of cloud technology to create an all-in-one system in an age where people go to their tablets phones while gaming and watching TV. 1:08: The new console is called XBOX ONE. They show off what the console looks like (unlike Sony), black and shiny like a PS3. There is a Kinect at launch with a new controller which seems to fix the d-pad issue. The hardware is then shown on the main stage. The idea is to make the experience simple, fast and complete. “XBOX, watch TV” instantly switches to a TV feed. He is also able to switch to music, browsers, movies and games with voice command, and it’s pretty fast. There are also hand gestures that open up windows from the menu to go full screen. You also have the ability to use multiple apps at the same time. While watching the 2009 Star Trek movie, Yusef uses voice command to open IE on the side of the screen to look up the new Trek movie, go through favorites and buy tickets. I’ll forgive the plug. Yusef uses Skype with a fellow employee while watching the movie. Video and audio look solid. After pulling up the ESPN app, Yusef displays the ability to show league standings and fantasy stats. Pretty cool if you’re in an ESPN fantasy league (which I’m not). There is also a TV guide which lets you see what is on cable and go to any channel by saying the channel you want to watch like HBO or CBS. The idea behind all of this is for the user to not have a reason to turn the TV off of the XBOX. 1:20: Mark Whitten out next to talk about the details of the console. 5 Billions transistors and 8 gigs of RAM. It has BluRay and USB 3 tech. It uses three different operating systems to make it as easy as possible to use. This causes the system to shift from program to program with no lag. Voice control has also been adapted to be more conversational. Kinect is getting an upgrade with a better camera and enhanced body recognition to recognize rotation and weight control. The new controller has 40 design innovations with an upgraded battery pack and d-pad (which looks more like the Sony d-pad). The new Kinect sensor is what the entire experience revolves around. New XBOX Live is built on 300,000 servers. Content is stored in the cloud so that you can access any content from anywhere. There is also a DVR program for gaming that lets you rewind and record gameplay (like PS4). There is also a system to find the perfect competitors for you in multiplayer, giving you the best possible experience. 1:28: Andrew Wilson from EA announces that EA is producing FIFA 14, Madden 14, NBA Elite 14 (uh oh) and a UFC game (that’s interesting). They will all be ready within 12 months and feature a new program called “Ignite.” This is meant to adjust the mental aspect of playing, along with more realistic body movement when colliding with other players on the field. There are also more dynamic crowds and playing environments teased. 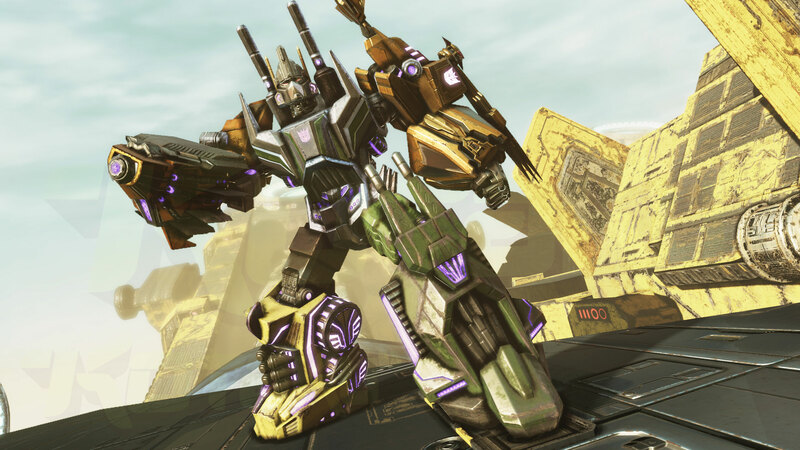 There is also a tease of XBOX only full multiplayer. This was all recapped with a montage of what could be gameplay. If it is it looks pretty great. That’s expected of course. The main thing I took away from it was uniform and face movement. 1:35: Phil Spencer out next to take a look at Forza Motorsport 5. I don’t know much about racing games but it looks good. After the PS4 reveal I’m kind of numb to the graphics. Of course it is all going to look amazing. It will be available at launch. 1:40: Remedy Games debuts a game called Quantum Break. The games starts with a live action scene which cuts into a heavy disaster scene with a ship crashing into a bridge. What followed was a sneak peak of gameplay (most of it I missed due to LAAAG). What I did see looked okay. 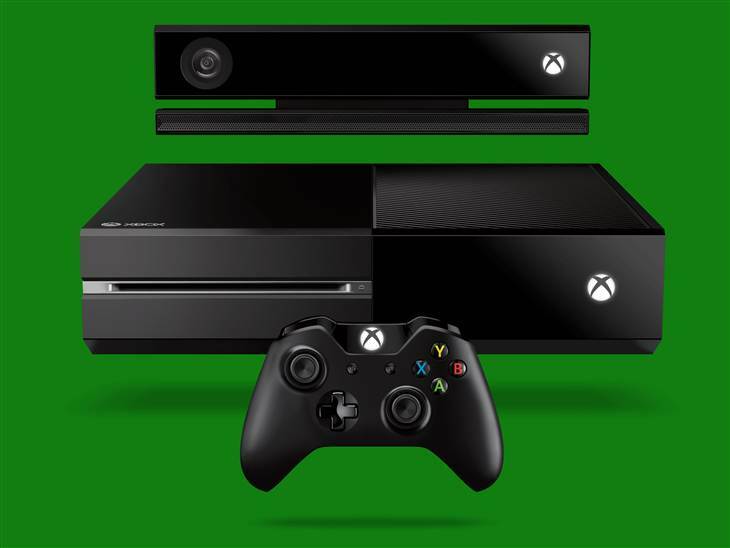 XBOX ONE will launch with 15 exclusives, eight of which are new franchises. This is kind of a big deal as exclusives have been lacking recently. 1:45: Nancy Tellem from XBOX Entertainment Studios talks about how TV on XBOX will emerse you in the experience. The emphasis will be on personalization. She brings out Bonnie Ross from 343 Industries to talk about how Halo will integrate into this. She reveals that there will be a live action Halo TV series to be produced by Steven Spielberg. 1:50: XBOX ONE will have a partnership with the NFL to have exclusive content, as well as app access to integrate your fantasy league stats. I imagine this also means Sunday Ticket will be available as well. It was on PS3 last year. 1:55: Dan Mattrick comes back out to wrap things up, announcing that the XBOX ONE will be released later this year, and again promotes E3 where several more games will be revealed. 2:00: Eric Hirshberg from Activision out to announce the next generation of Call of Duty, of which DLC will all be released first on XBOX. Using a new game engine, Call of Duty: Ghosts is the next CoD game. There is a short behind the scenes clip showing the making of the game and some of the new features like dogs. Yup, dogs. The engine upgrades the way objects look when you are close to them, as well as changing the way you hurdle over objects, slide and interact with the environment. Another new feature is interactive maps, which include essentially traps that you can trigger within the environment. Hirshberg describes it as the best CoD game in terms of graphics, gameplay and story. Ghosts was then compared side by side to MW3. Of course its better. I’m honestly not going crazy over them though. Finally we get a clip of gameplay on the XBOX ONE engine. What we actually get is the games trailer. The biggest element to me was the interactions with water and shooting down a building while you are scaling it. The parts that looked like gameplay certainly had the graphics of a cutscene. It looks good. It’s supposed to. 2:08: One final plug for E3 in the form of a countdown and the presentation is over. I’ll probably sound like the huge Sony fanboy that I am but I was a little underwhelmed by this event. On the plus side, we actually saw the hardware which looks very nice and not oversized. It also did not drag the way Sony’s did. However there was so much emphasis put on watching TV and not very much on gaming. NFL, ESPN, watching moves, surfing the internet. Gaming seemed to be second to everything else. They did announce some titles and show off some footage, but aside from Forza, it was all third party titles that will be on PS4 as well. I imagine this will all be address at E3. I’m sure this had everything XBOX fans were looking for, but in many ways it’s what Sony already announced with the PS4. The TV features are very cool. I just hope the games are as well. Last year, WWE ’12 drastically changed the formula for wrestling games with its control scheme and up tempo game play. This may not have made all of the Smackdown vs Raw fans happy, but I never bought any games from that series so I don’t care about them. Now THQ tries to follow up on their success with WWE ’13. While it may not be as revolutionary as their ad campaign would lead you to believe, WWE ’13 is still a pretty good experience for wrestling fans. 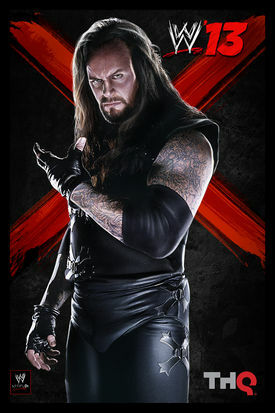 Now with twice the Undertaker! The primary feature of WWE ’13 is Attitude Era Mode. Gone is last year’s Road to WrestleMania, where you played through a made up storyline where you only play as three different characters (Triple H, Sheamus and a created wrestler). Now you go through significant moments of your favorite wrestlers from the Attitude Era and the Monday night wars. They take place in chapters, starting with the development of DX, to Steve Austin’s run and so on. It’s a hell of a lot of fun. They have recreated specific moments right down to capturing the audio from the original airings of the matches and promos. Mixed in is some actual footage to take you back to that time. To make things better, unlike Road to WrestleMania where the goal was only to accomplish certain objectives to trigger a cut scene (like performing a move near a certain area), all you have to do to progress in the Attitude Era Mode is win. Of course, there are extra objectives to accomplish in order to unlock more content (putting an opponent through a table for example), but at the end of the day you start and end every match. A big step up from last year. For the most part, it all works great. The only issue that I have is with the censoring of the term WWF. Because of the World Wildlife Fund, WWE is not even allowed to show or even mention their old name. It’s easy enough to adjust the logo, but they say WWF a lot in the audio clips, and it leads to everyone being censored as if the “F” stood for something completely different from Federation. Legalities aside, WWE ’13 does an outstanding job taking you back to wrestling’s most outrageous era. I loved taking the walk down memory lane. The gameplay and graphics are pretty much exactly how we left them last year. One button grapple moves, quicktime signature comebacks and reversals. A lot of reversals. Too many for my taste. There seem to be a lot more this year, and while it’s annoying against the AI, it can be almost maddening against another person. The window to pull off a reversal just seems bigger, and I had a number of moments where three or more reversals occurred in succession. At times it leads for a rush when you finally pull off that move without being reversed, but other times it almost feels broken. Speaking of broken, I’ve noticed some more glitches early on that normal. Getting stuck to the ring post, stuck in the air and things like that. It may be fixed in an update before I even finish this sentence, but it doesn’t seem good to launch with so many bugs when you’re essentially reskining last year’s effort. They did seem to fix the weird issue with the ropes being too flimsy though. The one other thing of note is the characters. THQ claimed that they had the biggest roster of any wrestling game ever, which is technically true. There are plenty of options coming the current roster with the Attitude Era, however that also leaves you with a lot of characters having two models. Old and new Undertaker, old and new Rock, current John Cena and thuganomics Cena. You get the idea. They are considered different characters, but it most cases they are really just new skins. Cheap trick but whatever. Everyone you need is either in the game or going to be available in DLC, like Damien Sandow and Ryback. It’s as good as you are going to get. If you have WWE ’12 and are all about Universe Mode, you might not need to shell out the cash for an updated roster and some added tweaks (especially with the user creations available). 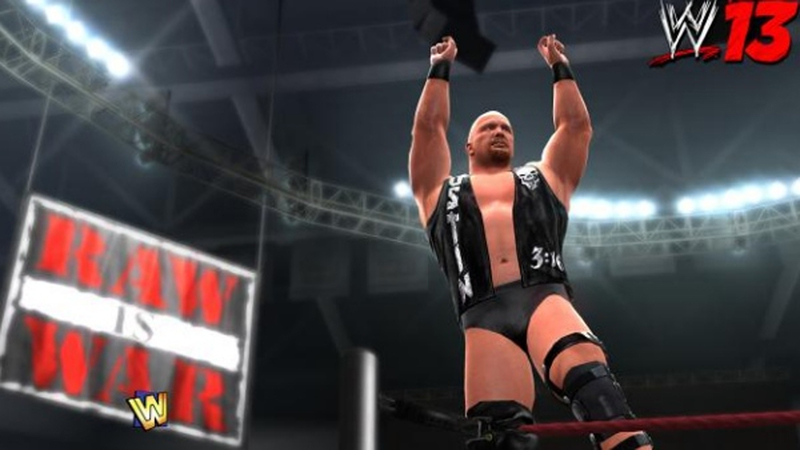 But if you want a fantastic look back at the Attitude Era to go along with those updates, WWE ’13 is definitely for you. Is One Video Game Per Sport Enough? For the third straight year there will not be an NBA game from EA Sports. NBA Elite 11’s demo was so broken that the game ended up getting delayed and ultimately cancelled. 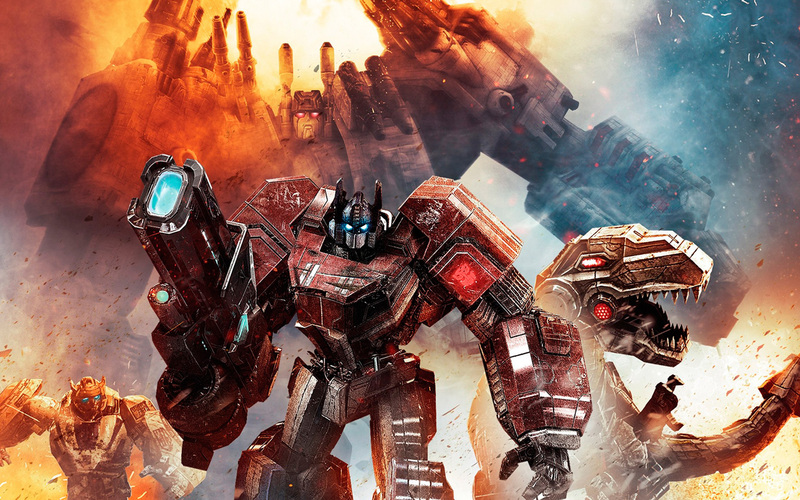 After changing studios, engines and attempting to rebuild the game from the ground up, EA decided that since they weren’t far enough yet for an October release date (in line with the NBA season) that they would again put off launching a game this year and aim to release a game for next season instead. My question is, does anyone care? This drought of EA basketball games (no NCAA basketball either) just happens to be during a period where the NBA 2K series can do no wrong. NBA 2K11 changed the game with the addition of Michael Jordan and the most realistic basketball game we’ve ever seen. 2K12 took all of that and improved it, adding more touches and hall of famers. Now, when the series could be on cruise control if it wanted, they seem to be pushing the envelope even more. EA couldn’t have picked a worse time to not put out a game. EA knows all about being the only game in town. They forced 2K Sports out the door when they purchased exclusivity for NFL video games. This meant that if you wanted to play NFL football in a video game, it is Madden Football or bust. Some people yearn for the days of 2K football, but based on sales not many are still complaining. They also produce the undisputed number one hockey and soccer games with the NHL and FIFA series. Take Two backed out from hockey after NHL 2K11 fell flat, and even though Konami keeps making Pro Evo Soccer games, does anyone know anybody that owns that over FIFA13? Baseball seems to be the only sport that has multiple video games still duking it out, and that might only be because of rights issues. The MLB 2K series has been the standard game on all platforms due to an agreement preventing third party companies from making games with the MLB license. This would have left them with no competition if SONY hadn’t decided to make a game anyway as a Playstation exclusive. MLB The Show has been regarded as the best baseball game, if not the best sports game overall, available. However since it is only available for Playstation, Take Two still gets all of the sales from baseball hungry XBOX and WII owners. That might change soon as the exclusivity agreement is about to expire. There might not even be an MLB 2K13 next year, meaning once again, there could only be one game in town. With all that said, I again ask if it actually matters? Is it bad that all of these companies have little to no competition for their respective sports titles? Logic would say yes. Less competition leaves little desire for the work to be put into drastically improving games each year. If there is no one to challenge the throne, what is the point of spending the money. Certainly the Madden Franchise has been accused of this. Every year they come out with another version of Madden and while they still sell at a ridiculous rate, critics call in little more than a 60 dollar roster update. Truth be told, little has changed with MLB The Show, NHL or FIFA games either. Sure some strong competition would bring out the best in everyone involved right? Not necessarily. While little changes from year to year, it must be acknowledged that these current games are regarded as the best ever in their fields. FIFA12, NBA 2K12, MLB The Show 12 and NHL 12 were all called the greatest sports game of all time by somebody. 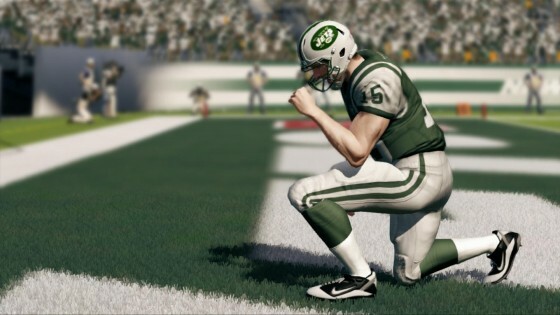 Madden might have gotten similar praise if it wasn’t so ridiculously popular. It’s just not cool to give accolades to something that well known. Call of Duty goed through the same troubles now. It’s much for fun to trash it for not being as good as it used to be. With these sports franchises not needing to make drastic changes to separate themselves from the pack, they can keep everything that works and spend their time making small tweaks that each make their game slightly more like the real thing. 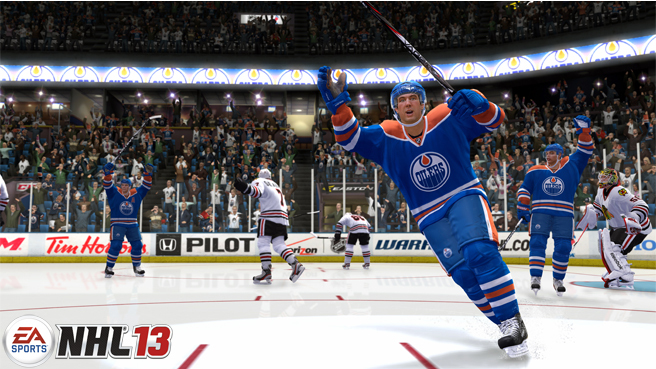 The casual fan might not really notice it, but NHL 13 plays a lot more like real hockey than NHL 12 does. While being the leader in a one car race can lead to laziness, it can also provide to patience to do the small things that matter more down the road. 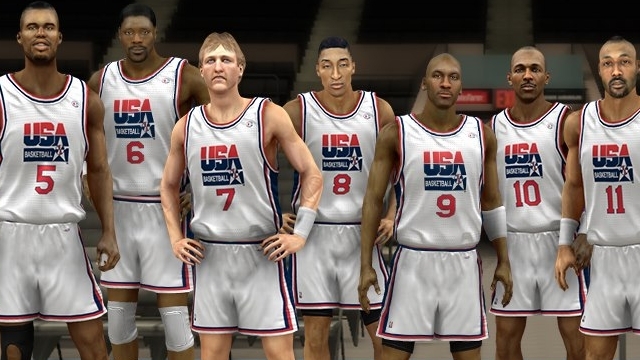 Sports games are different from any other type of video game. It is the only genre expected to come out with a new game every year. The Uncharted series needed five years to produce three games. I didn’t notice anyone complaining though. To expect drastic changes every year from a sports game is asking for a lot. I’m not saying that competition wouldn’t make the games better, but I am saying that sports games are as good as they have ever been without it. I guess all I’m getting at is, EA can cancel next year’s NBA game too if they wanted to.